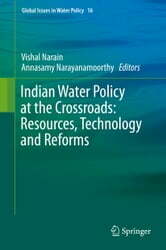 This book reviews and analyzes emerging challenges in water policy, governance and institutions in India. 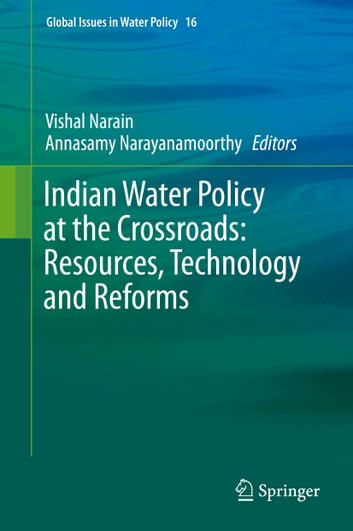 Recent times have seen the contours of water policy shaped by new discourses and narratives; there has been a pluralization of the state and a changing balance of power among the actors who influence the formulation of water policy. Discourses on gender mainstreaming and Integrated Water Resource Management (IWRM) are influential, though they have often remained rhetorical and difficult to put into practice. Debate over property rights reform and inter-linking of rivers has been polarized. At the same time, there has been a rising disenchantment with policy initiatives in participatory irrigation management, cleaning up of water bodies and pollution control. Fast depletion of groundwater resources and the importance of adopting new irrigation methods are getting increased focus in the recent policy dialogue. The contributors review current debate on these and other subjects shaping the governance of water resources, and take stock of new policy developments. The book examines the experience of policy implementation, and shows where important weaknesses still lie. The authors present a roadmap for the future, and discuss the potential of alternative approaches for tackling emerging challenges. A case is made for greater emphasis on a discursive analysis of water policy, to examine underlying policy processes. the ongoing democratization of water governance, coupled with the multiplication of stresses on water, will create a more visible demand for platforms for negotiation, conflict resolution and dialogue across different categories of users and uses. Finally, the authors propose that future research should challenge implicit biases in water resources planning and address imbalances in the allocation of water from the perspectives of both equity and sustainability.